Basic Diagram Shapes are the most commonly used shapes in different types of diagrams and graphs (Org Charts, Block Diagrams, Business specific diagrams etc.). 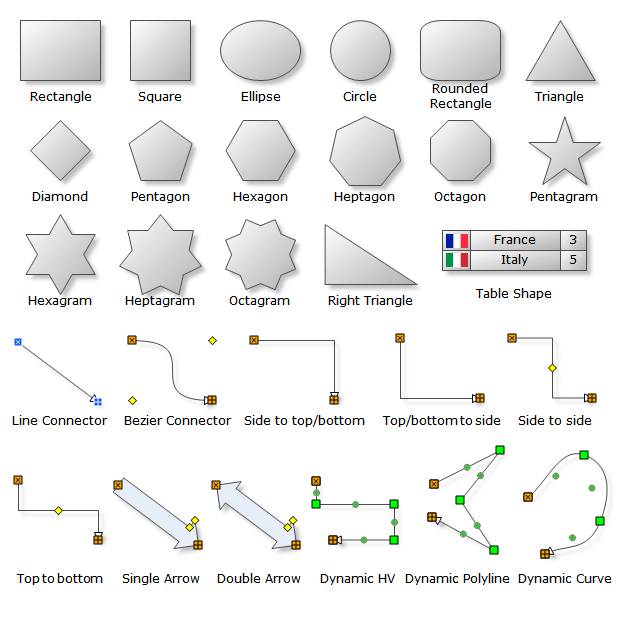 Nevron Diagram for .NET implements a myriad of predefined shapes, which can come handy in many types of diagrams. The predefined shapes are consistently created with the help of shape factories.